When it comes to storing carbon, scientists have put a price tag on the value of mangroves in Everglades National Park and it’s in the billions. Based on a scientific cost estimate, the stored carbon is worth between $2 billion and $3.4 billion, the researchers found. It is a relatively small price when considering the cost to society if the carbon currently stored in these mangroves were ever released into the atmosphere, according to the researchers at FIU who co-authored the study. In addition to removing excess carbon dioxide from the air, mangroves provide a variety of other benefits, including flood control, storm protection and maintaining water quality. The billion-dollar price tag reflects the cost to preserve the park’s mangroves and their ability to hold organic carbon intact by restoring freshwater flow to the areas that need it the most. 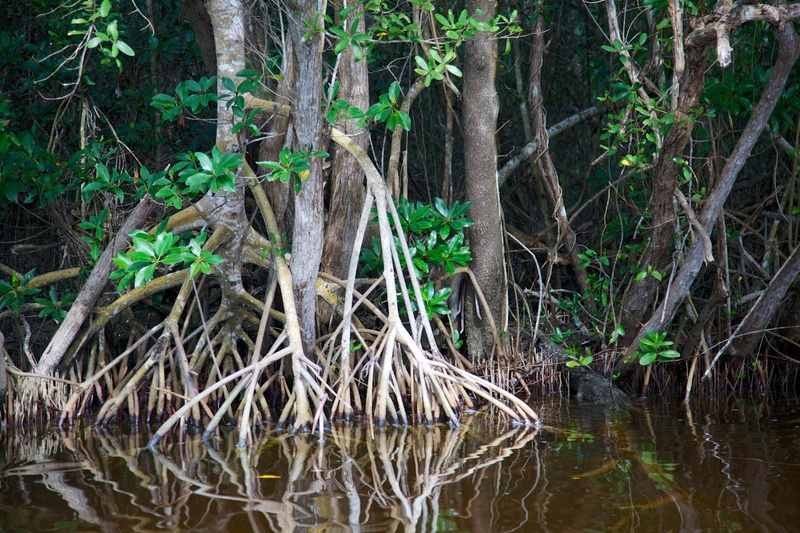 Florida’s mangroves move inland to keep up with salt water intrusion caused by sea level rise. The study was published in the journal of Environmental Science and Policy. It was funded by the National Science Foundation’s Water, Sustainability and Climate program and the Florida Coastal Everglades Long Term Ecological Research Program. “This finding is an excellent example of how research at long-term ecological research sites can inform management and policy decisions and help in making wise choices, in this case, how to mitigate the effects of increasing carbon dioxide in the atmosphere,” said David Garrison, Long Term Ecological Research program director in the National Science Foundation’s Division of Ocean Sciences. The mangrove forests of the Everglades National Park are the largest in the continental United States. Although protected, the Everglades is affected by sea level rise, hurricanes, changes in water flow and other environment events. Decreased funding for Everglades restoration is also a problem. According to the researchers, preventing the loss of stored carbon in mangroves could become a critical component of the nation’s climate change mitigation strategies. The study was done in collaboration with researchers at Louisiana State University and the NASA Jet Propulsion Laboratory. “This research is a reminder of the valuable services Everglades mangroves provide, and the global benefits that can come from restoring and preserving them,” said John Schade, Long Term Ecological Research program director in the National Science Foundation’s Division of Environmental Biology. Great post and I could not agree with you more. I own a fishing boat charter and I have seen the devastation to the seagrass because of fresh water. Additionally mangroves protect the land from erosion. We need to send that excess water from Lake O south. Correction: I meant a lack of fresh water.